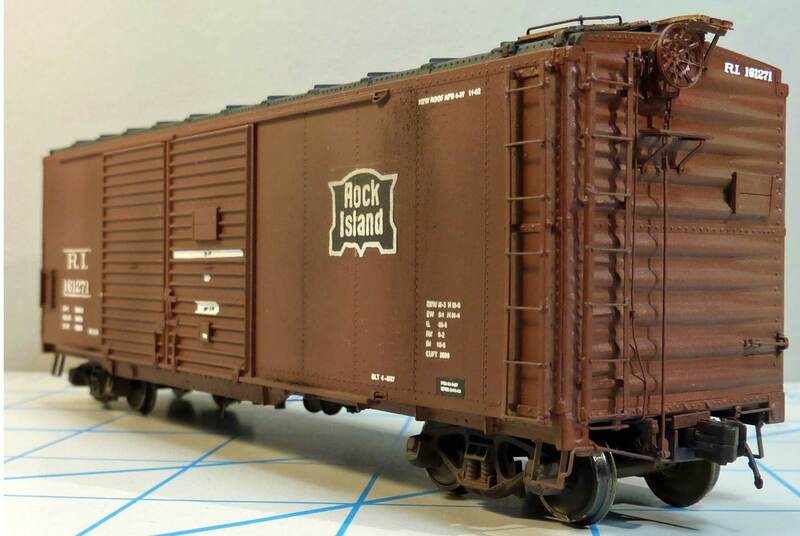 George Toman has kept busy with another freight car project. Here’s his latest work. This project started with the intent of building a Milwaukee Road automobile box car that I had seen on display by Chad Boas at the 2015 Collinsville RPM meet. Little did I know at the time that there were at least four versions of these cars. I chose to build a PS-1 and a GATC version. Here’s a look at both prototypes, with the PS-1 on the left and the GATC car on the right.